As Vice President of Employee Benefits for Innovative Captive Strategies (ICS), Jeff Fitzgerald oversees all group Employee Benefits programs. He specializes in structuring, financing and the overall management of Employee Benefit group captive programs. Fitzgerald earned his B.A. from Furman University in 1997. He also obtained his Masters in Business Administration (MBA) from the College of William and Mary. 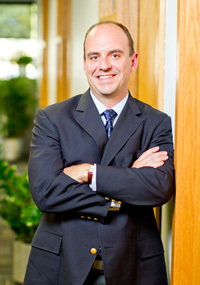 Prior to ICS, Fitzgerald was an Associate Director at Strategic Risk Solutions. In the past six years he has formed 12 group Employee Benefits captives consisting of various sizes and structures. He also provided Consulting services to single parent and association entities, focusing specifically on how to incorporate Employee Benefits into their existing stand alone captives. One hour of CE credit is available for Kansas and Missouri is pending. Only 2013 and 2014 members are eligible to receive the CE credits.